Bob Bradley or Michael Bradley? Game of Thrones or Breaking Bad? We put USMNT and Toronto FC striker Jozy Altidore on the spot in our latest edition of "You Have To Answer." Toronto FC has signed former United States youth international goalkeeper Quentin Westberg from French second-division side Auxerre, the club announced on Monday. Westberg, 32, is a French and U.S. citizen who has spent the majority of his career in France. 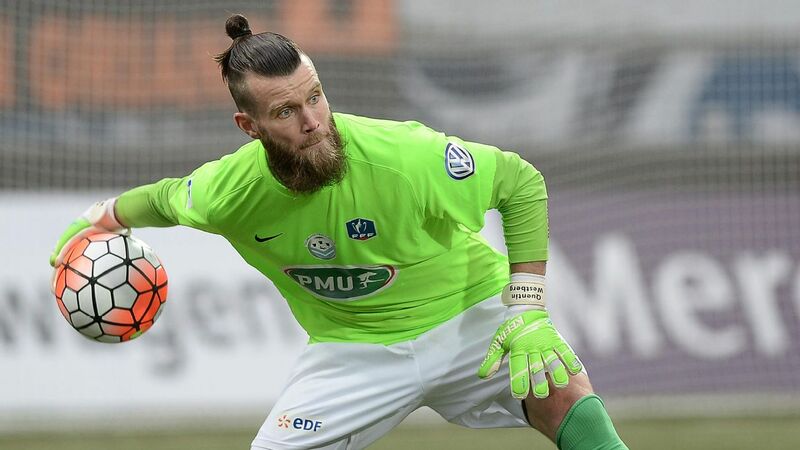 This season, Westberg has appeared in 14 matches for Auxerre, recording seven clean sheets. Westberg started his career at Troyes and has made stops at Evian, Luzenac and Tours as well as Norwegian side Sarpsborg. Pierre-Yves Polomat, seen playing for Saint-Etienne, has been banned for six games. The two Auxerre players sent off for fighting each other during a Ligue 2 game earlier this month have been suspended for a combined total of 11 matches by the French Football League (LFP). Pierre-Yves Polomat and Michael Barreto were dismissed nine minutes from the end of Auxerre's 4-1 defeat at Quevilly Rouen after throwing punches at each other. Two Auxerre players face a disciplinary meeting with the French club after being sent off for fighting with each other during a Ligue 2 match. Pierre-Yves Polomat and Michael Barreto will have to explain why they were throwing punches at each other late on in Auxerre's 4-1 defeat at Quevilly Rouen on Friday. The pair were separated by one of the home players and a member of the Auxerre delegation, who had raced onto the pitch when the incident flared up nine minutes from time. Djibril Cisse won the Champions League with Liverpool in 2005. Former Liverpool and France striker Djibril Cisse has announced he is retiring from football. Cisse, 35, had initially declared his career was over in October 2015, stating recurrent, debilitating problems with a hip would require replacement surgery. However, after going under the knife early last year, the former Sunderland and Lazio forward made an attempt to return to the professional world in which he had last featured at the end of the 2014-15 season while at Bastia.